On the day of the new quarter the shadow cast by the higher stone moves across the lower stone, which stands 12m away. 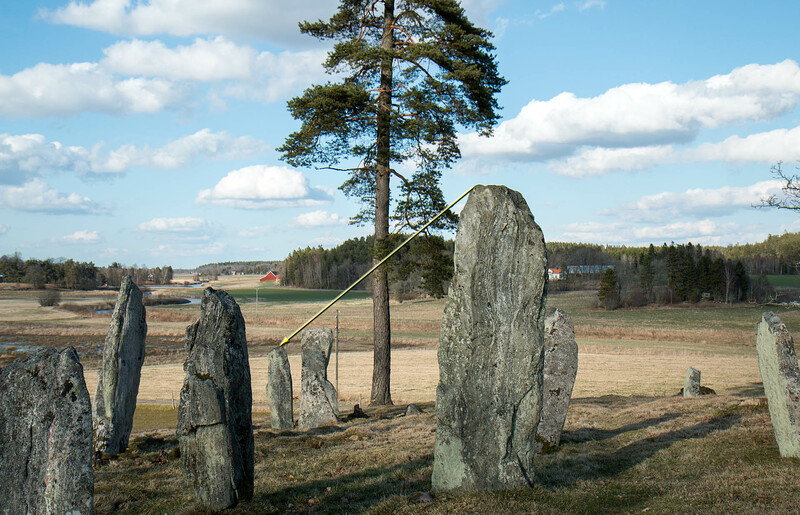 The gradient of the top of the stone is in good alignment with the sun’s path. The shadow from the higher the stone is correct on January 15, which is 28 days after the winter solstice. The upper part of the shadow ends up partly on the stone’s top side. However, since the top surface slopes downward toward the viewer the shadow is still fully visible. Branches of a tree partially obscures the sun which makes the shadow less clear. I have not had the opportunity to see if the shadow is sufficiently clear to be seen. The next opportunity is on 15th January 2015, between 13:12 and 13:20.